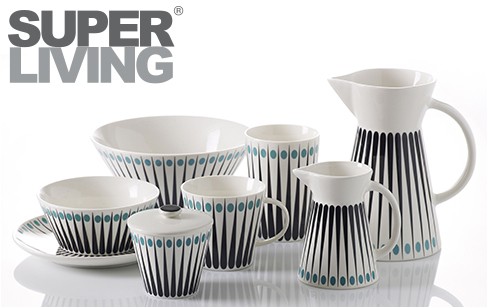 Superliving is a Danish design brand founded in 2009. Behind Superliving is the married couple Anette Stabel and Jesper Binger. They both have a solid background in the design world and they love to work with shapes and colours. They are very much inspired by the organic shapes and colours from the 50`and 60` which is a signature in all their products. With Superliving`s candlesticks, hooks and lamps they have found a wide customer base as the prices are very reasonable. Apart from designing and producing Superliving products they have for many years run the succesfully Superlove lifestyle-shops in downtown Copenhagen.